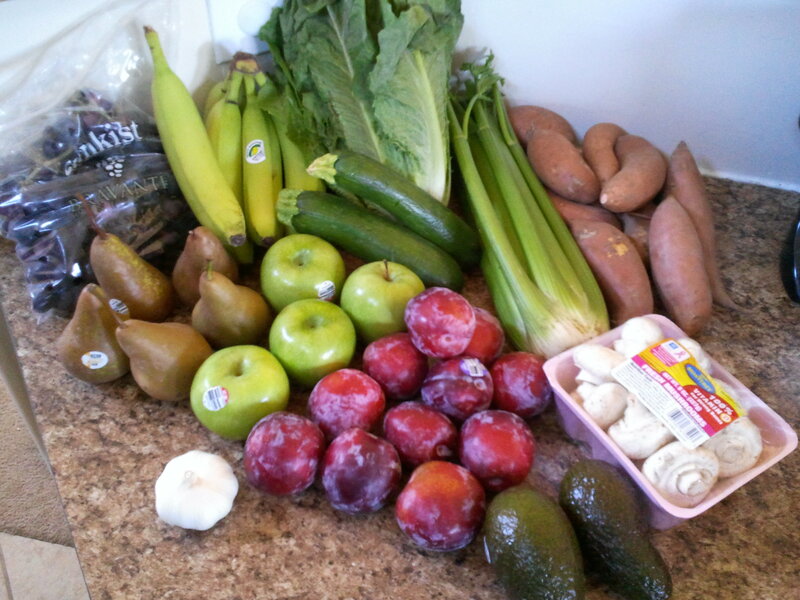 Lots of goodies this week! I got the conventional basket for $15 and a Halloween cookie kit for $10. LOTS of sweet potatoes. I will probably make Oven Baked Parmesan Sweet Potato Fries, maybe a sweet potato pie, and I will have to look for something else to make. I also need to decide what to do with the mushrooms and mushrooms, maybe a Zucchini Pie. The celery I may chop and freeze to have for Thanksgiving to make bread & celery dressing. 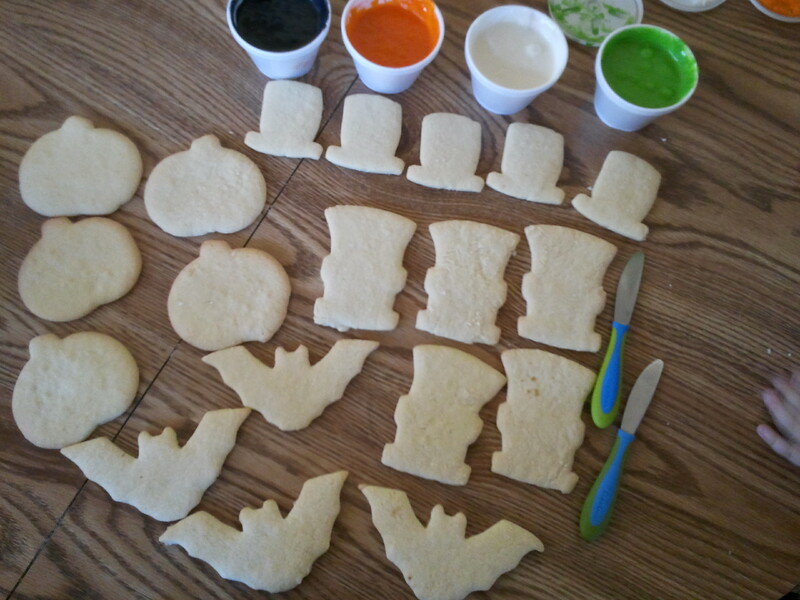 The cookie kit had 20 cookies in 4 different shapes, with 4 colors of frosting. The girls had a lot of fun decorating these today. Note: The amount of food may vary from another basket because of volunteering and because of variances in how the ends of produce cases are distributed after everything has been distributed evenly.